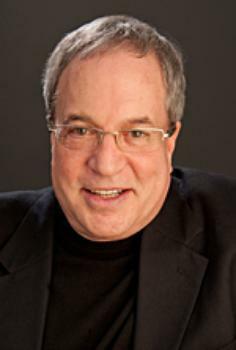 Robert Passikoff is president of Brand Keys, a research firm. In numerology, the number 14 is associated with forward movement, new methods of experience, opportunity, and personal engagement, a good omen as to the course the world of consumer outreach and brand marketing will follow next year. 1. Consumers Expect More: Over the past five years consumer expectations have increased on average by 20%. But brands have kept up only by 5% annually, a big gap between what's desired and what's delivered. The ability to accurately measure real, unarticulated expectations, will provide significant advantages to brands that can engage and delight. 2. Attention Must Be Paid to Brands: With increased expectations will come a greater sense of product and service commoditization. You may be known, but you need to be known for something meaningful and important to consumers. 3. Category is King: Brands will stop trading away category-specificity for cross-category generalities in how they target, strategize, and execute content. To engage smarter, high-expectation consumers, brand wills need to be smarter about specific category values they can leverage and own. 4. Brands Will Get Emotional: Values that drive the decision process to select one brand versus another has become more emotionally-driven. In most categories the rational aspects are price-of-entry. Successful brands will need to identify what emotional values exist in the category in which they compete, and utilize them as a foundation for meaningful differentiation. 5. Real Brand "Engagement" Defined: For too long engagement has been associated with consumer attention levels. Successful marketers will link "engagement" to how efforts increase how well the brand is perceived versus the Category Ideal, and a metric that correlates highly with loyalty, sales, profitability, and lifetime value. 6. Targeting Becomes Personal: With consumers craving - and expecting - more, and more customized and personalized products, services and experiences, brands that better respond to real consumer expectations, will find consumers engaging with brands that are able to personalize messaging and outreach. 7. Digital Done Right: With digital diversification getting bigger, and more channels appearing each quarter, brands are going to shift their question from "should I be here?" to "what should I do now that I am here?" Success will be linked not to outreach alone, but to how well the brand can differentiate itself and the levels of emotional engagement it can create. 8. Content Is King, Too: Content marketing will become a specialty unto itself and tools like the Digital Platform GPS will optimize placement and help brands distinguish the difference between paid, owned, and earned media. This will become more important when it comes to dealing with issues related to contextual relevance and strategically navigating brands in digital space. 9. Mobile Optimized: In 2011 Brand Keys trends identified that mobile would move mainstream, and it has. For 2014 brands will need to adapt strategies and delivery mechanisms, content and flow of communications to match increased consumer multi-tasking and multi-screen behavior. 10. Fewer Tedious Texts: Consumers, having become more visually literate, will move from text outreach to more image-based connections. Visual content will become more important in creating successful viral marketing campaigns, with brands becoming more attentive to image-sharing initiatives and platforms. 11. Micro Becomes Mainstream: Micro videos will continue to rise in popularity and use. Metrics will move away from number of views and toward real brand engagement (see Trend #5). Watch for more :6 and :12 videos to accommodate different digital delivery platforms and increasingly shorter consumer attention spans. 12. Integration Intensification: Brand marketing and digital budgets will fuse as teams work jointly and cross-silo. Multi-platform traditional and digital models will require social media integration into all marketing efforts, with responsibilities extended to customer experience, design, sales, and product development. 13. Data Deceleration: Data aggregations for traditional and digital will become more integrated and streamlined, allowing brands to better separate the "wheat from the chaff." Big Data will actually get smaller and more compact. And more useful. 14. The Funnel Flattens: What used to be a "purchase funnel," that became a "path-to-purchase," will become a "multi-path-to-purchase" and will become extraordinarily category specific. Content and value communication with the right platforms in the right way will become the only way to create emotional engagement - and profitability - with brands. It's said that a new year provides marketers and brands a chance for new resolutions and new beginnings. But it's also said, if you want to do something new, you have to stop doing something old. These 14 new trends provide brands with the opportunity to break habits and embrace new methods of brand engagement, new business models, new technologies, and new and profitable opportunities. Happy 2014.